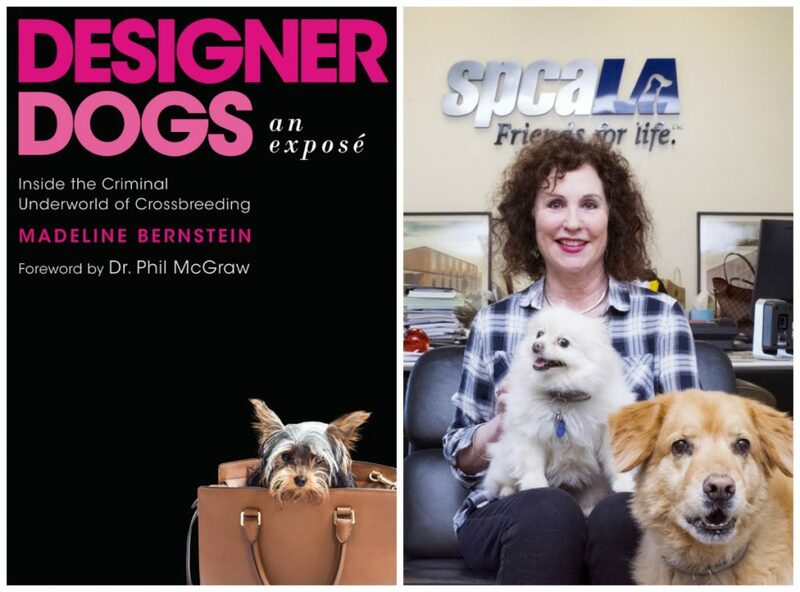 Los Angeles, CA – In Designer Dogs: An Exposé: Inside the Criminal Underworld of Crossbreeding, foreword by Dr. Phil McGraw, (Apollo Publishers; October 2018), Society for the Prevention of Cruelty to Animals Los Angeles (spcaLA) President, Madeline Bernstein, exposes the dangers of forced breeding or genetic engineering to create smaller, funnier, and more Instagram-worthy dogs. The book leaves readers with solutions to these problems, which include education, law enforcement, ending the demand for “designer dogs”, and celebrating and adopting shelter dogs. MADELINE BERNSTEIN, President of Society for the Prevention of Cruelty to Animals Los Angeles (spcaLA), is a frequent speaker and writer on animal welfare, with a CBS People’s Choice Award-winning blog on the subject. A recipient of the prestigious Boeing Crystal Vision Award, she was the first Distinguished Visiting Animal Advocate for the Center for Animal Law Studies at Lewis & Clark Law School in 2012, and has since returned as a visiting professor.